Do you love a good Twitter Party? You know we do and we’re excited to host a party to talk about easy meal solutions for Moms! 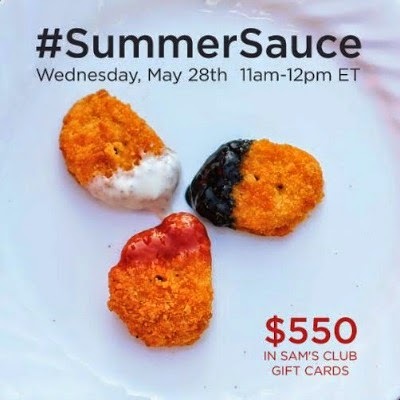 On Wednesday, May 28 at 11 am EST, please join us for the #SummerSauce Twitter Party where we’ll be discussing our favorite ways to serve Tyson Chicken Nuggets, sharing our best summer dipping sauce recipes, and giving you a chance to win prizes! I am the queen of quick easy meals and with life being as incredibly hectic as it is, of course my fridge is always stocked with Tyson Chicken Nuggets. This is something that we can prepare as a meal for the whole family or something that is easy enough for the teens to make on their own. Tyson Chicken Nuggets are made with all white meat and that delicious crisp breading that everyone loves. My kids are really simple and eat them with ketchup and ranch dressing, so I don't even have to worry about special sauces. Tyson Chicken Nuggets make my life a lot easier. I would love to invite you to join me for the #SummerSauce Twitter Party next week. We will talk about favorite sauces, how Tyson Chicken Nuggets fit into our busy days and more! Won't you join me? 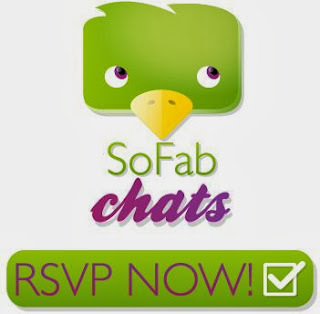 Join me and RSVP for the #SummerSauce Twitter Party on SoFabChats!